NOW IS THE TIME TO GET MEANINGFUL FEDERAL SECOND AMENDMENT PROTECTIONS PASSED INTO LAW: LET’S GET THE SECOND AMENDMENT GUARANTEE ACT (“SAGA”) UP TO SPEED. “In questions of power, then, let no more be heard of confidence in man, but bind him down from mischief by the chains of the Constitution.” Thomas Jefferson, Resolutions Relative to the Alien and Sedition Acts, in 1 The Founders’ Constitution 292 (Philip Kurland & Ralph Lerner eds., 1987). Our fundamental rights, as codified in our Nation’s Bill of Rights, are under constant assault. Nowhere is this more in evidence than in the continuous, contentious, cavalcade of laws emanating on the State and federal and local governmental levels—laws that slowly but inexorably chip and whittle away at the sacred right of the people to keep and bear arms, codified in the Second Amendment of the U.S. Constitution. But why is that? One reason for this aggressive assault on the right codified in the Second Amendment is that those supporting restrictive gun legislation view the right as an anathema, a thing of no positive value today. Those who support ever more arcane, restrictive, ponderous laws—a veritable cascade of them with no end in sight—may acknowledge that the right set forth in the Second Amendment had some import and merit, perhaps, at one time, early in our Nation’s history, but no longer. They see the right, today, as something archaic, anachronistic and, therefore, not a thing to be legitimately considered a right at all but, at most, a privilege, something that may be bestowed by government on a select few, whom Government trusts as worthy “caretakers” of society. What then becomes of the right as exercised by the common man? It is a thing lost, never to be recovered. Commoners—average Americans—are conditioned through propaganda to view firearms as an evil, as things to be reviled, and to view those who desire to own and possess them as individuals who are out of touch with reality, out of touch with the way the world works today, out of touch with the way things are or, as projected in the mind through incessant propaganda, out of touch with the ways things ought to be. The mainstream media pompously, piously, at the behest of its internationalist, globalist benefactors, proselytizes, telling us that firearms are responsible for the ills in society and that individuals who seek to own and possess them are rightfully to be shunned and viewed as slightly unhinged. The mainstream media, with the assistance of teachers and advocacy groups, condition children to fear firearms. Woe to the child caught bringing a toy gun to school or even pointing a finger at another child, simulating or suggesting a firearm. The school board ejects that child from the school, with great fanfare, as an object lesson for others. Thus, at an early age a child learns that “incorrect thinking” will turn that child into a pariah. Mainstream news sources at the behest of their benefactors—the secretive overlords of western civilization—seek, through constant, tedious, repetitive opinionating, to repress the desire in man to own and possess firearms. The argument made—specious though it is—is that firearms have no place in a “civilized” society. This modern-day excuse for a “Press” contends that Americans who desire to own and possess firearms are throwbacks to an earlier day and age and, so, need to be reeducated to forsake firearms. At times mainstream news sources—at the behest of their wealthy, powerful benefactors, the secretive, powerful, overlords of society—make these points overtly. At other times, the points are tacit, hidden in news accounts of criminals and lunatics who prey on us all. Yet, the American public is endlessly and noxiously bombarded with specious arguments remonstrating against firearms, arguing for destruction of firearm caches and castigating those who would deign to keep them. The ill-informed public thus perceives, in the constant barrage and fusillade of slogans and chastisements spat out by the propaganda machine of the mainstream media, that the loss of the right to keep and bear arms is nothing to be concerned about. The truth is ever lost on the public, as the very linchpin of the Bill of Rights falls to hundreds of unconstitutional restrictive State and federal statutes and dozens more of governmental edicts, and to tens of thousands of deliberately vague and ambiguous sentences and clauses and paragraphs tucked away in numerous local governmental rules, regulations, codes, and ordinances, designed to confound and mislead those among us who would dare to exercise the right believed important enough by the framers to carve in stone, but now to be dumped, unceremoniously, in a warehouse—like the statues and memorabilia of our Nation’s Confederacy—out of sight and, so, out of mind—lest raging anarchists and pseudo-moralists be offended. To convert the average American to its cause celebre—and to its way of thinking—to encourage the average American to accept the need for more and more firearms restrictions the mainstream media denigrates and trivializes the right embodied in the Second Amendment and, at once, castigates and ostracizes those who would dare support it. Clearly, it isn’t the career criminal, the psychopathic gang and drug cartel members, and the occasional lunatic, that gun restrictions are meant to target. No! It is, rather, the average, rational, law-abiding, American. It is that person who is the real target of ponderous gun restrictions. But, why is that? Why is it this individual that the mainstream media, and various like-minded politicians, and their benefactors—the inordinately secretive, extraordinarily powerful, insatiably and exorbitantly wealthy, and coldly ruthless internationalists, the destroyers of the Nation State and of a Nation’s laws—truly detest and truly fear? The answer is clear on reflection, and we see the answer in the mask shrouding the overt reasons the mainstream media blares out to the American public when extolling the virtue of ever more restrictive gun measures. The overt, pervasive reasons given for destroying the right of the people to keep and bear arms masks a more insidious reason the Second Amendment is under constant and vicious assault and it is the salient, true reason. It is one never given, nor dared to be given, nor is it even hinted at. Yet, it lurks ominously, in the shadows, ever present—and evident to those who pause to consider the constant, dogged, unwavering, and rapacious efforts to destroy the Second Amendment. It is clear enough to those who reflect carefully on the wording of the Second Amendment. The dependent “militia” clause has no purpose other than to make clear why the right of the people to keep and bear arms is necessary. The operative clause, “the right of the people to keep and bear arms shall not be infringed,” is clear, categorical, unequivocal, and absolute. The operative clause is not conditioned by the prefatory, dependent “militia” clause. It is not conditioned by anything. The prefatory clause simply sets forth the salient reason for the codification of the right, as set forth in the operative, independent clause—the supreme importance of the right of the people to keep and bear arms, as the mechanism by which and through which the Nation guarantees that it remain a free Republic and, in that, therefor, the need for the right. Consider: there is no prefatory clause in the First Amendment of the Bill of Rights of the U.S. Constitution, justifying the right of Free Speech and Free Press. There is no prefatory clause in the First Amendment because the framers of the Constitution knew that freedom of expression and freedom of the Press—although powerful and critical rights—are not, in themselves, a check against armed invasion from the outside, nor do they constitute infallible checks against tyranny arising from within the Nation. Indeed, we see that the Press has been coopted by those who seek to destroy our Republic, thereby inviting tyranny—in fact, working indefatigably to see that tyranny comes to fruition even as the Press poses, deceptively, as a force poised against it—hence, the inherent, insidious, destructive nature of it–born from a poisonous seed within the Nation and nourished along by a chained Press. And, we see, in recent months attempts to constrain freedom of expression—deviously—through claims that it is improper for one to voice opinion that others might find objectionable. But, there is no equivocation in the Second Amendment. An armed citizenry either exists or it does not. If it exists, there is, in that armed citizenry, a perfect check against tyranny. If an armed citizenry does not exist, there is nothing to constrain tyranny. That is the salient reason for including a prefatory clause, a preamble to the Second Amendment. The prefatory clause serves no other purpose and it has no other purpose. But, those who seek to install autocracy in this Country see, in the inclusion of a prefatory, dependent clause, not the impetus the framers had for including it at all, but, a sly, devious way to suggest that the absolute right of the people to keep and bear arms—a right that, in its clear wording, is not and cannot be infringed—is not absolute, but structurally conditioned through the prefatory clause: namely, that one’s right to keep and bear arms is limited by and through and to one’s connection to a militia. That notion is false to be sure. In fact, the notion is ludicrous; and that notion has, fortunately, thankfully, finally, been laid to rest by the U.S. Supreme Court in the seminal Heller case. The intent of the framers in codifying the right of the people to keep and bear arms is abundantly clear. For, if the right could be infringed, namely, in the event one sought to keep and bear arms but had no connection to a militia, then the prefatory, dependent clause would contradict the import of the independent clause, namely, that the right of the people to keep and bear arms shall not be infringed. As a matter of formal logic, either the right of the people to keep and bear arms can be infringed or it cannot. Under the law of non-contradiction, it must be one or the other. It cannot be both. The independent clause makes clear that the right of the people to keep and bear arms cannot be infringed. If the prefatory clause were truly to suggest that the right of the people to keep and bear arms could be infringed, as the gun grabbers insist, then the Second Amendment would make no logical sense. Its legal import would be totally lost; and the right expressed in the independent clause would be reduced to a nullity—which is how the liberal-wing of the U.S. Supreme Court sees it, anyway. Thus, the import of the Second Amendment is determinative here by the absolute principle of sound logic, quite apart from its import in law. To suggest that the framers would deliberately draft a self-contradiction would be to presume them insane. On the other hand, to suggest the framers drafted a self-contradiction, negligently, would be to presume they were dunces. Neither, of course, is the case. The framers of the Second Amendment were extremely intelligent, extremely capable, competent, and rational men and, as well, they were extremely wary of the nature of the existence of some ambitious but ruthless men—men, not at all like them–who would be capable of transforming and predisposed to transforming a free Republic into an autocracy if given half a chance, to serve their own private purposes and desires. The Second Amendment, as with every other component of the Constitution, was crafted with great care. The Second Amendment is a hedge—the one best hedge against the introduction of tyranny into a free State. Thus, the right of the people to keep and bear arms shall not be infringed makes clear that, in the event Government sought to impose tyranny upon the American people–and intrusion upon the right of the people to keep and bear arms would be clear evidence of such design to introduce tyranny–such illegitimate encroachment upon a sacred right shall be met with lawful force exerted by the American people, to preclude any Government attempt and effort to insinuate unlawful power against the true Sovereign of this Nation: the American people themselves. The prefatory clause must, then, have no use and serve no use other than to make clear to those servants of Government, the reason why the right cannot be infringed: namely, to remind those servants of Government that the People are Supreme; that Government was designed to serve the people, and not the other way around; and that, if the servants of Government should forget their role and should forget Government’s place in the grand Constitutional scheme, the American people will remind them of their role and will remind them of Government’s place in that scheme, and the American people will do so harshly, exacting a heavy price upon those who have thoughts of grandeur—those who have thoughts that it is the People who serve them–the Government Heads–and not the other way around. And, Government Heads will roll for the audacity to attempt to exert control over the American people. Thus, it is that the framers of the Constitution intended for the Second Amendment to be the one, true, and absolute check on tyranny. The late Justice Scalia knew that to be so, but was reluctant to make that point manifest in the seminal Heller case—instead discussing the tacit reason for the presence of the Second Amendment in the Bill of Rights—that of self-defense. Justice Scalia had to get Justices Roberts and Kennedy on board, and they, likely, would not have done so, had Justice Scalia asserted that the primary import of the militia clause was to make clear that an armed citizenry was necessary as the best check against tyranny. To mention the salient import and purport of the Second Amendment is, apparently, today, to make too emphatic a statement; but, then, that tells us just how far we have fallen as a Nation and how expansive and powerful and treacherous the federal Government has become and as it continues to devolve, unless our present U.S. President, steps on the brake and reverses the trend toward dissolution of our Bill of Rights and our free Republic. Passing effective federal legislation that serves to strengthen our Second Amendment, as the framers of the U.S. Constitution intended, would be a good start toward reversing the deadly trend and tendency of an increasingly powerful federal Government to thwart the Bill of Rights, thereby instituting tyranny. Justice Scalia must have been aware of this horrible trend and, given the opportunity, in Heller, to set things right, he made clear the import of the Second Amendment as the drafters of the Second Amendment made intended: that the right of the people to keep and bear arms is an individual right unconnected to one’s service in a militia. In that regard, Justice Scalia, writing for the Majority, pointed to the natural right of self-defense as implicit in the individual’s exercise of that sacred right. Still, Justice Scalia’s discussion of one’s right self-defense through firearms means–as I am sure he was aware–not only defense of one’s physical self but also defense against oppression, whether that oppression manifests outside this Country or, more frighteningly, within it. And, we have seen, in the regime of Barack Obama and as we would have seen in the regime of Hillary Clinton tyranny raising its ugly head, manifesting obliquely, tangentially, but most assuredly. We see in the Presidency of Donald Trump, a circumambulation around our Bill of Rights—an attempt to set things right, as Chief Executive of our Nation. But, he has his job cut out for him for the Deep State does not wish to cede the stranglehold of tyranny it has been weaving around this Nation for many years and which it shad ought to complete through the coronation of Hillary Clinton. Fortunately, that “coronation” never took place. Americans weren’t hoodwinked. But, the failure of the secretive internationalist forces to elect their puppet, Hillary Clinton, hardly means we are out of the woods. We see the insinuation of tyranny through the instigation of international pacts and treaties, that operate to circumvent the sovereignty of our laws. We see it in the use of our military for purposes altogether unrelated to our national defense. We see it in attempts to draw this Country—an independent sovereign Nation—into the throes of the EU; we see it in the opinions of the liberal wing Justices of the U.S. Supreme Court who argue that international law and jurisprudence should govern the decisions of cases impacting our fundamental rights, effectively subordinating, then, our Constitution and our written law to that of foreign bodies. We see it in the subordination of our laws and our sacred rights and liberties to that of international courts and tribunals. We are slowly, inexorably being sucked into a whirlpool that reshapes our laws, and our rights—to be twisted and molded and reformed into a thing that effectively loosens the underpinnings of our core values, traditions, and history. Our Bill of Rights, and, particularly, our Second Amendment, has no place in this new world order and must therefore be consigned–so the architects of our Nation’s destruction have ordered–to the dustbin of history. To that end, State and federal statutes and local governmental rules, regulations, and ordinances are enacted, to attack the free exercise of the right of the people to keep and bear arms to excoriate it; to exorcise it from conscious thought and memory—ostensibly to benefit society in its entirety, to benefit the collective, to benefit the “beehive,” never the individual, and, thus, to see our once independent sovereign Nation incorporated, as but one cog, into a larger “grand” design that embraces many other Nations in one seemingly seamless, cohesive whole. We see governmental regulations enacted in a scarcely disguised attempt to destroy the sacred right the framers of our Constitution knew to be necessary to restrict the power of Government and they saw the necessity of etching those rights and liberties in stone. But, attempts are made to undercut the Bill of Rights, and, particularly, to undercut the Second Amendment. Ominously, State and federal statutes are enacted to attack the right of the people to keep and bear arms at the root level. Statutes are enacted to attack the right codified in the Second Amendment in the hope that, at some point in the future, the Second Amendment will wither and die of its own accord, since de jure repeal of it outright is virtually impossible. Indeed, the framers intended that de jure repeal of the Bill of Rights would be, ought to be, must be, extremely difficult to accomplish. Repeal of fundamental rights should be difficult to accomplish, lest an uneducated or ill-informed public, hoodwinked by, and easily manipulated by propaganda, spouted by a compliant Press, controlled by those who place no stock in the Bill of Rights, be led by the nose to believe that Americans really, truly, don’t need this or that right, codified in the Bill of Rights, and that we would all be better off to do away with the right altogether. Since actual de jure repeal of the Second Amendment outright won’t happen, cannot happen, even as those who detest the continued existence of the Second Amendment would love to see that happen—would fervently love to see formal repeal of the Second Amendment—it behooves those who seek to destroy it to find some other way or means to do so. And, they have done so, through a process that takes longer, but, through the inexorable tide of time, money, and effort expended in enacting ever more exacting, restrictive, convoluted, and redundant firearms legislation and through an easily malleable, complacent, compliant ill-informed public, they have exacted their toll on the Second Amendment, and have successfully eroded Americans’ exercise of the sacred right. Thus, the net result, if not reversed, would reduce the Second Amendment to a virtual nullity, even as it continues, formally, to exist. Thus, where we see the creation of ever more State and federal laws, and federal governmental rules and edicts, and local governmental codes, rules, regulations, and ordinances—enacted in defiance of the clear meaning of the Second Amendment and in clear defiance to U.S. Supreme Court rulings, we become aware that the destruction of the Second Amendment is no less certain than had the Second Amendment been repealed outright. This is what is meant by de facto repeal of the Second Amendment. The Second Amendment continues to exist “on paper” but it has no efficacy. It means nothing. It means that no right exists that can be exercised through it. De facto repeal, then, has the same effect as outright de jure repeal. It just takes a little longer. Of course, the liberal wing of the U.S. Supreme Court seeks to destroy the Second Amendment in its own way, through its misinterpretation of law, rather than through misuse of legislation. We see this in the dissenting opinions of liberal wing Justices. By corralling the operative clause of the Second Amendment—“the right of the people to keep and bear arms shall not be infringed”—in the dependent clause, “a well regulated militia being necessary to the security of a free state,” and as the concept of a State militia, as understood by the framers of the U.S. Constitution is essentially non-existent today, the Second Amendment would be nugatory, as it would be impossible for an American ever to exercise the right under it.” Thus, if those Justices who dissented in the Heller and McDonald cases, had been writing for the Majority, the Second Amendment would effectively be reduced to a nullity. Thus, the right of the people to keep and bear arms would be transformed into a mere privilege, something Government could grant to a person or deny a person, at whim. Occasionally, as in Congressman Chris Collins’ Second Amendment Guarantee Act, we do see some relief—a welcome pushback against offensive restrictive firearms’ legislation. Yet, as we also see, that pushback is often gratuitous, designed merely to award a Congressman political points for taking a stand that, although unpopular to some, is welcomed by many, and should, even if it never were enacted into law, be heralded by all. Proponents of strong pro-Second Amendment bills must have the fortitude to see their bills through to fruition to the same extent, if not more so, than do opponents of the Second Amendment when introducing their own anti-Second Amendment bills. For we have seen, on several occasions, how opponents of our sacred right push their bills through to upend our most sacred right. It is unfortunate that those Legislators who ostensibly espouse their support of the right of the people to keep and bear arms demonstrate, at the end of the day, a lack of fortitude to see their work through to completion. They certainly do not exhibit the same exuberance as those who seek to undermine the Second Amendment exhibit, for, when introducing anti-Second Amendment legislation, such legislators generally work toward moving their bills along. They are serious about getting their anti-Second Amendment bills enacted into law. Such anti-Second Amendment bills don’t simply die in Committee, much as we would like to see them do, unlike pro-Second Amendment bills, which we would like very much to see passage of. Thus, the best crafted bill in the Nation doesn’t get us anywhere unless serious effort is made to push it forward. We can get started on the first part—assisting Legislators—to craft effective legislation, and we are doing so. Yet, without a strong nudge from the public we see Congressional legislators unwilling to do their part, proceeding half-heartedly, at best, and then stopping short of their goal. That is hardly encouraging and we find it wholly unacceptable. The Republicans, for the moment, at least, control both Houses of Congress; and we have a U.S. President who has not been bought and paid for by internationalists—unlike Obama and the Clintons who have taken their marching orders from these internationalists—these ruthless and cunning individuals who owe their allegiance to no Nation—who seek to undermine all Nations, to bring them under the sway of their corporate control, operating through private charters that would undercut the constitutions of Nations. This we see as the fate befalling the Nations of the European Union. Lest we fall under the sway of the EU directly or otherwise fall prey to an EU styled dictatorship, it is necessary for Americans to take a stand and do our best to strengthen our Constitution and our Bill of Rights–those sacrosanct and inviolate documents that the founders bequeathed to us through their tremendous courage and through their great sacrifice. *Let your U.S. Senator and U.S. Representative know how you feel about your Second Amendment right to keep and bear arms. Phone (202) 225-3121. It is a fast and easy process; and a critical one. 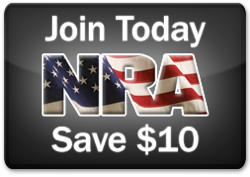 Only through your active participation, can we help secure our Second Amendment right.